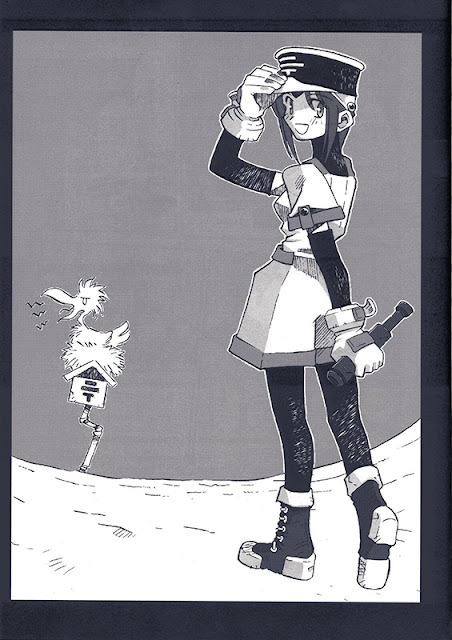 It contains the short story "Notes" by Nasu and a manga, Clockwick Canaan-Veil by Takeuchi. Notes contains the foundations of the modern Type-Moon stories, and even gave the company it's name. 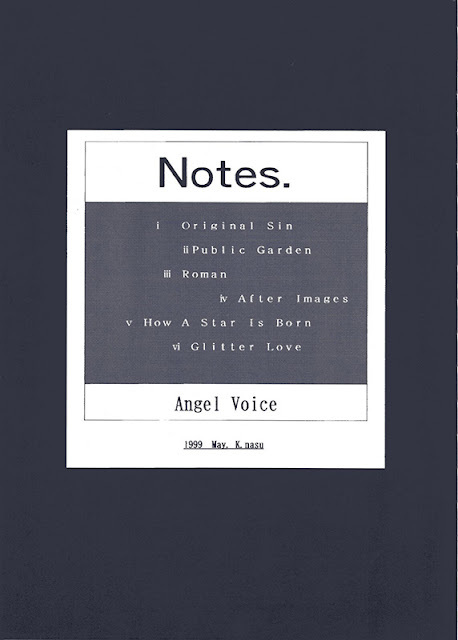 The title page of Notes. 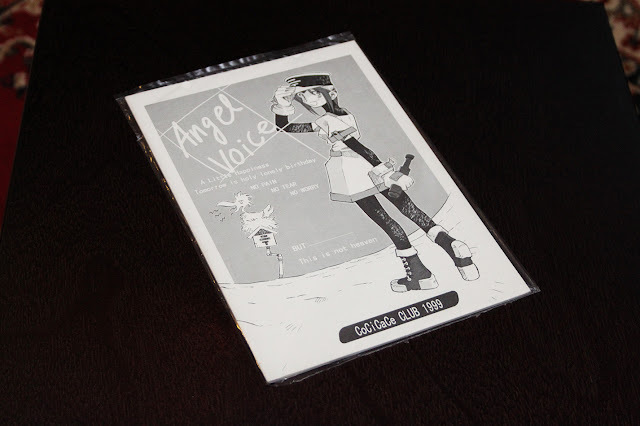 Angel Voice was orginally released in 1999 at Comita 48, and is now fairly rare. I paid 21,000 for mine shipped. 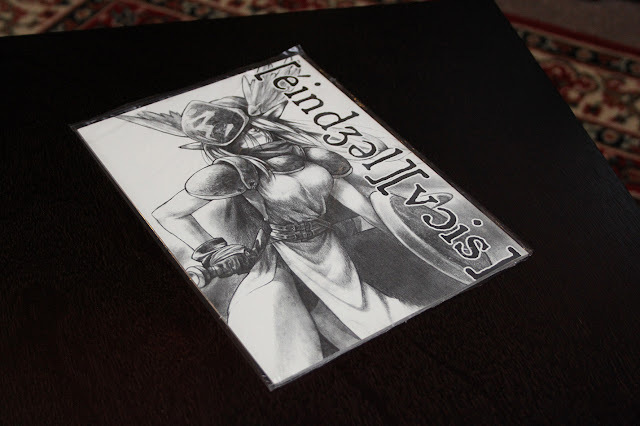 I was going to take photos of the insides but it's sealed so I suppose I'll leave it like that. The contents were later reprinted in the Tsukihime Blue Book anyway.